Allergy 101 – A food allergy support group providing support and education to those affected by food allergies. Join us for an evening of tips, advice, and strategies on how to manage food allergies. Bring your questions, comments and concerns, (and bring your friends) as we tackle the challenges of living with allergies. 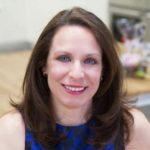 Lead by bakery owner, nutritionist, and specialist in natural medicine, allergy mom and allergy expert, Karen Fleischer. This will be a regularly scheduled evening so that the conversation doesn’t end, (just as some of the worst allergies never end).